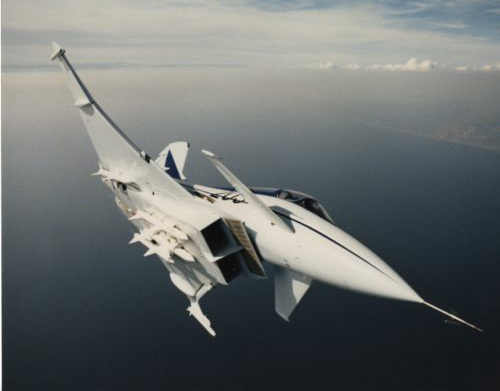 In the early 1980s, air forces and manufacturers in Europe wanted a new fighter. Several studies, including the Agile Combat Aircraft, envisioned the aircraft as a canard delta design, specialising in air superiority. Collaboration between all the major nations seemed possible, but France split off on its own, to work on the ACX. France was now arch-rivals with its previous partners and leapt into the lead when its Rafale-A technology demonstrator flew on 4th July 1986, Britain soon fired back with the EAP. Now’s your chance to help this blog… donate here. You can make a big difference! 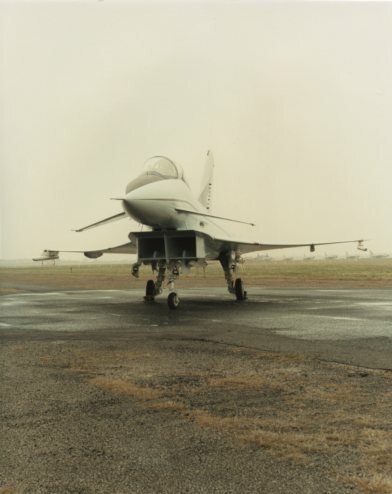 The EAP first flew on 8th August 1986. 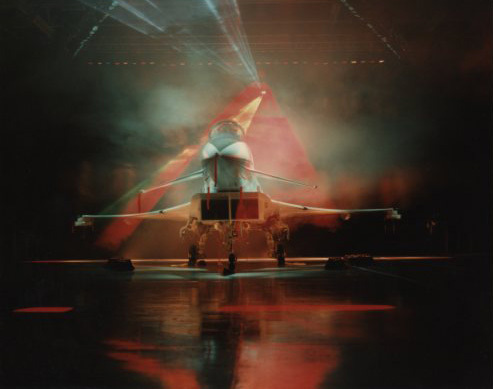 The aircraft was built as a technology demonstrator for what would become the Eurofighter Typhoon. 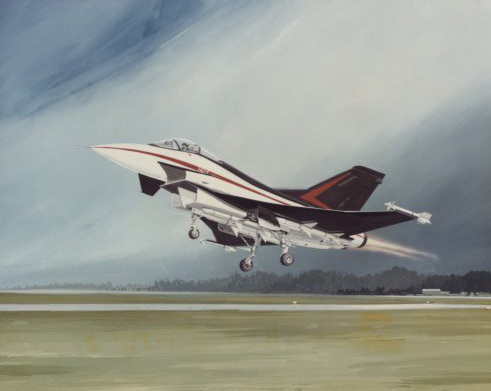 Though there was a small element of international collaboration in the EAP, it was essentially British, and as such was the last ever supersonic British aircraft. 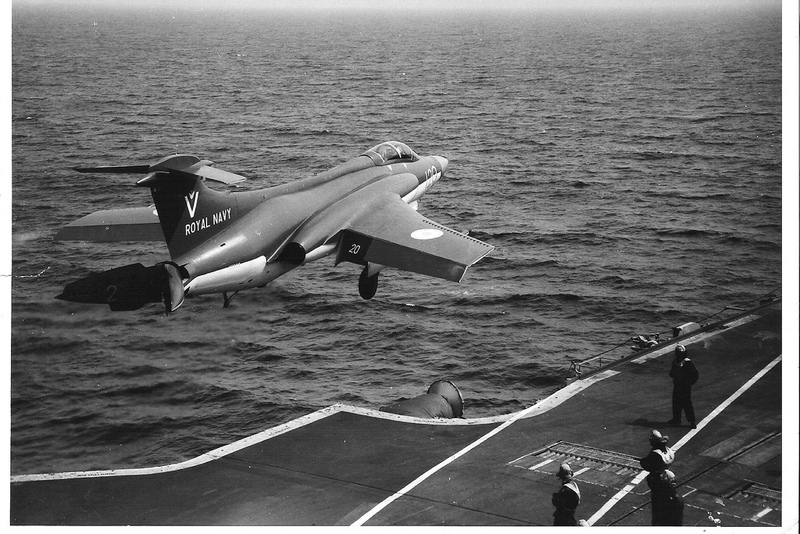 Its performance was very impressive, as one test pilot noted, “It goes like a ferret with a firework up its bum!”. 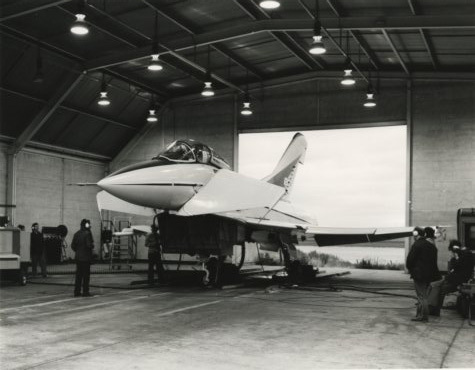 Hush-Kit interviewed EAP test pilot Dave Eagles to get the inside story. What were you first impressions of flying EAP? What was the best thing about flying EAP? What was the worst thing about flying EAP? Typhoon has enjoyed an unprecedented safety record for a fighter, why do you think this is? Do you have a favourite aircraft and if so, why? “It would have to be Tornado, because I spent so much of my career being deeply involved with it. But for sheer joy I must say that flying the Sea Fury with the Royal Australian Navy comes close.” Do you have a least favourite aircraft and if so, why? The most repeated quote about EAP is that ‘it went like a ferret with a firework up its bum’, which is attributed to an ‘EAP test pilot’. Do you know the origin of this quote and would you agree with it? Which modern aircraft would you most like to fly and why? How important was EAP for the development of EFA/Typhoon? Did the actual EAP aircraft have a nickname, what did people on the project refer to it as? Typhoon’s handling characteristics and cockpit receive a lot of praise, do you feel a sense of pride knowing that you directly contributed to this? 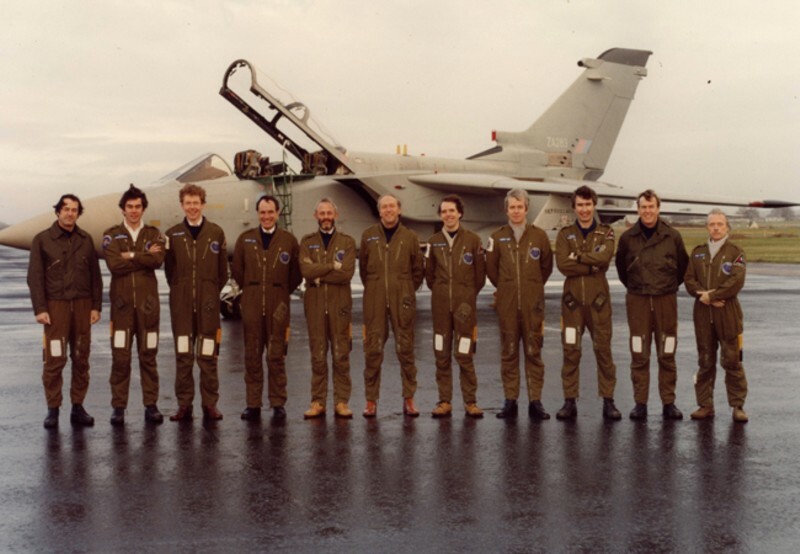 “Yes- I feel a great sense of pride in knowing I was involved in the build up to Typhoon, but I have to say that a very great deal of the handling characteristic tuning was done by test pilots like Pete Orme and Chris Yeo after I left Warton. The cockpit, too, was of course much changed in layout as Typhoon’s complicated weapon system was added, but I will claim some involvement. I make a much stronger claim to the Tornado cockpit design “. Hush-Kit would like to express its thanks to Dave Eagles. The Agile Combat Aircraft (ACA) was a fighter concept from MBB, BAe and Aeritalia, displayed as mock-up in 1982-1983. It featured canted twin-tails and cranked delta. It is likely that the tail configuration would have offered a lower frontal radar cross section than the single fin adopted by Typhoon. It would, however, have been heavier. Clear in this artist’s impression of EAP is the differences it has from today’s Typhoon. The intake, missile carriage arrangement and tail would all change. Neither EAP or Typhoon actually had tip-mounted Sidewinders. EAP was built using carbon fibre composites and aluminium lithium alloy. The advanced construction techniques and materials kept the aircraft light and strong. The canopy is noticeably heavier in its use of framing, compared to the F-16 and F/A-18. EAP enjoyed a shabazz public roll-out. BAe was keen to see show the aircraft off, partly as the rival Rafale-A was not only revealed earlier, but appeared to be closer to a production aircraft than the EAP. EAP blasts off under the power of two Turbo-Union RB199 Mk 104D. As anyone who has ever flown a Tornado ADV above 30,000 ft will testify, the ‘199, with its high bypass ratio, is far from being a decent fighter engine. EAP leads a formation of BAe’s 1980s aircraft. Behind it can be seen a Tornado ADV, then a Tornado GR.1, flanking it are the Hawk 100 and 200, and riding outboard are the Harrier GR.5 and Sea Harrier. 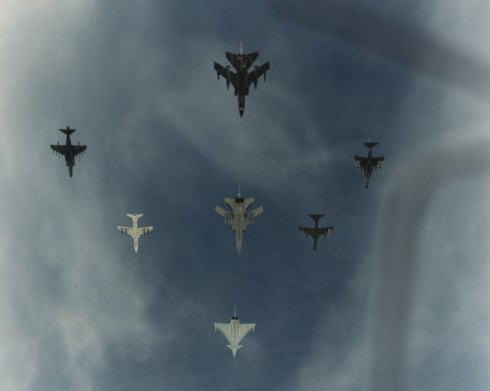 Today only one of these types is in RAF service (the Tornado GR), though all of the others (barring EAP and the Tornado ADV) remain in service with other air forces (albeit in modified forms). 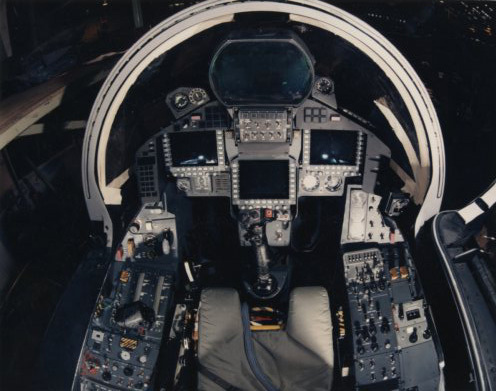 One of the technologies Europe the EAP inherited from the late teen fighters was the glass MFD (multi-functional displays) cockpit. The cockpit was clearly heavily influenced by the F/A-18 Hornet, which had entered service in 1983. Europe’s first ‘modern’ fighter cockpit came when the Rafale entered service in 2000. Prior to this both the British Sea Harrier FA.2 and French Mirage 2000-5 had received MFDs. The wide angle HUD had first been seen on the F-16, which entered service in 1978. 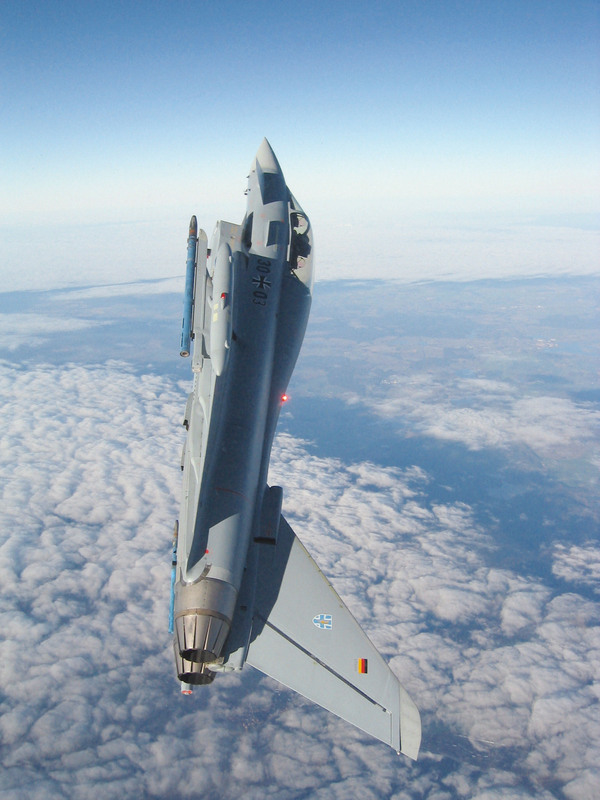 One genuine innovation was voice control, known as DVI (Direct Voice Input) which came with the Eurofighter Typhoon, and was first used operationally in 2005. Though a similar system was tested on the US F-16AFTI, the F-35 will be the first US fighter with DVI to enter service. The Hands On Throttle-And-Stick (HOTAS) configuration was seen in proto form on the English Electric Lightning, but was first seen in its modern form on the F-16. Unlike the F-16 the stick was centre-mounted on EAP, the relative merits of side- versus central-stick remain a matter of opinion. 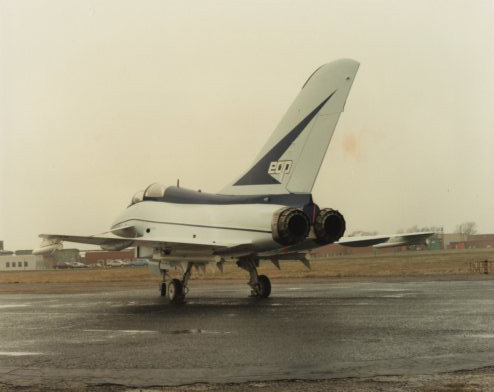 The EAP was fitted with a modified Tornado fin, for the sake of cost and risk reduction. The gun muzzle position is different to Typhoon’s, which is in the wing-root. EAP was designed without considerations of RCS-reduction. In 1986, stealth was still a highly classified area. 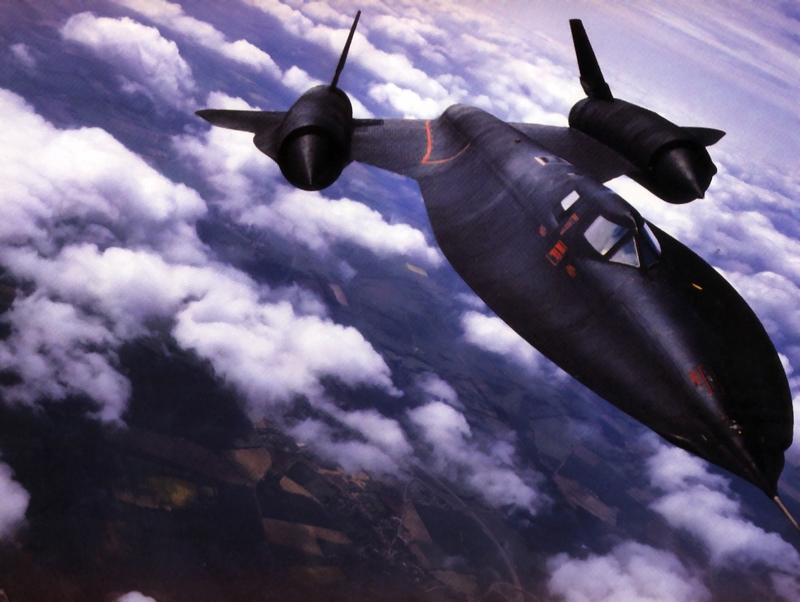 Germany had built a stealth demonstrator, the MBB Lampyridae in 1980, but this was quickly hushed up and canned, when the US, world leaders in stealth got wind of it. 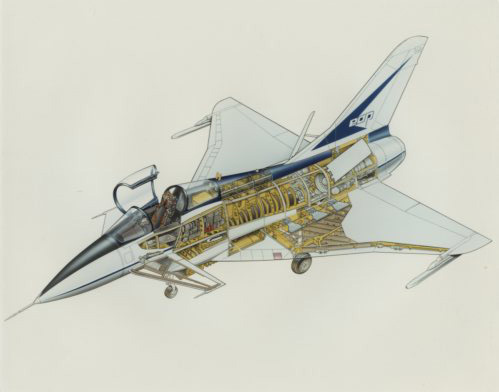 Though advanced in aerodynamics and materials, EAP was clearly behind the technology curve of the Advanced Tactical Fighter concepts being explored by US fighter companies of the time. EAP emphasised agility at high speeds, good man-machine interface and high combat persistence to excel in beyond-visual range and close-in combat. It was intended to outfight the emerging threat of ‘Flanker’s and ‘Fulcrum’s. 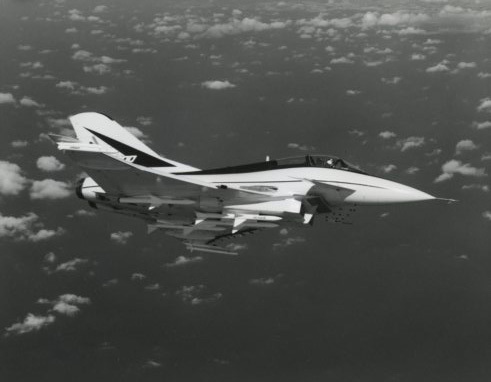 Despite Eurofighter’s claims that it was designed from the outset as a multi-role fighter, ground attack was very much a secondary consideration. Some early artworks of EFA showed it armed with BL775 cluster bombs, a weapon that was banned before Typhoon entered service. The Typhoon was first used in anger in the air-to-ground role, in Libya in 2011. 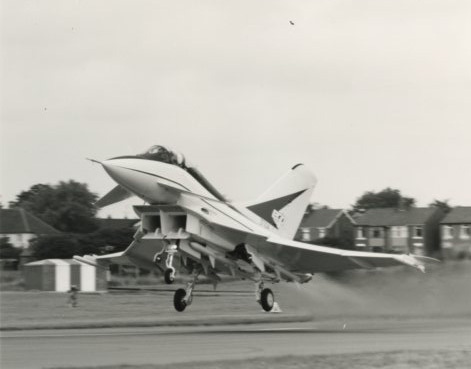 The boxy intake of EAP gave way to the ‘smiling’ curved intake of Typhoon. Dummy ASRAAMS are carried. Thanks to Nick Stroud from The Aviation Historian. Nice article, There was a great article in an air systems magazine about 4 years ago regarding EAP had picture a of jaguar that had the FBW system used to demonsrate the technology for EAP and later Typhoon, also a detailed piture of the cockpit which was light years ahead of anything else regarding layout and design philosophy, which is the backbone of Typhoon today. Ive never seen a video of EAP flying despite scouring the Internet, any pointers? Hi Al, just for you I have added some video footage above! Have to tell you that I did not give the statement you quote me giving referring to the “ferret with firework”! Also I have some video from first flight which BAe posted on their internal communications site which I’m sure they will be happy for me to share with you if you would like to see it. Wished it would go on show at Cosford, Does anyone why. ? It has been there for a year. EAP has some US components in the build; fasteners and the like. As a result, the aircraft can’t be displayed (or sold) without permission from the US. The aircraft went to Cosford for display there some months ago but the US agreement has only recently been received. I understand it is just now being readied for display. 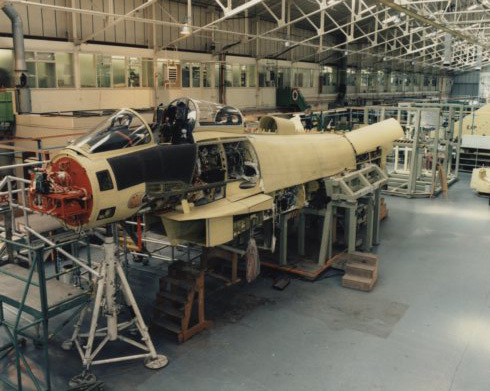 Saw EAP today at Cosford on a private tour of their workshop hangar – looking in great shape (clean and complete but pleasantly ‘as flown’ around the edges rather than over restored). Brought back happy memories of seeing her fly when she was the future (and I was at school!). They are looking for a couple of RB199s to finish her off if anyone has any lying around? 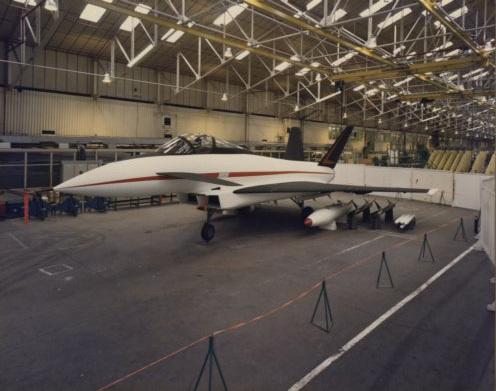 We were told that the US ITAR permission is finally in place and as Dave Eagles says, she is being readied for display in the Flight Test hangar alongside the ACT Jaguar. Dave – thoroughly enjoyed reading about the EAP – would it be possible to e mail you ? I’ve just finished writing the Haynes Tornado Manual and would like to add a bit on EAP for a forthcoming title called Tornado in Camera – I think I’ve a couple of shots of EAP parked next to my Lightning when I was operating out of Warton in 1986 for the ADV radar trials – think I got a bollocking from Don Thomas ! The guilty man wrt the Ferret quote was Keith Hartley. There’s no ‘alleged’ about it.